To provide the most reliable and comprehensive advice and services for individuals, families, or companies searching for that ideal property or business opportunity that will meet their investment, retirement, or lifestyle needs....and then our team is on-site to develop and or manage your chosen project. The Southern Cross Advisors turnkey approach means you have a reliable friend you can trust to facilitate your investment or lifestyle objectives. The SCA team is composed of Stephen Vletas, an international business professional, and his team of local real estate veterans, lawyers, escribanos, property scouts, agronomists, enologists, project managers, accountants, architects, and more. There is no substitute for local knowledge, experience, and connections. Cultural factors play a vital role in the way business is conducted in Argentina. SCA understands and uses the best methods for handling government regulations and processes for buying and selling property, for legal and title work, for commercial or private development, for construction, for safe and legal money movement, for creating a new corporation, or for starting a new business. Every business or investment idea is different. Even the purchase of a simple vineyard or home has distinct requirements. Southern Cross Advisors gives you an edge, and we assist you through this often confusing maze of “doing business” the Argentine way. And the SCA turnkey approach gives you another important advantage -- we can take care of all your business needs in-house. We discuss your ideas and plans, then get the work done. Our licensed Argentine martilleras (real estate brokers) keep track of the best properties for sale, and they always have a finger on the pulse of the market. There is no effective MLS system in Argentina; therefore, our real estate team works with other real estate entities to compile the widest possible range of offerings for buyers and investors. When it comes time for scouting for a specific property, we're already ahead of the game. And if a client decides to sell a business or property, the team markets and sells. The SCA Management team is on hand to keep your property or business in perfect shape while you're away, provide monthly reports, accounting, and photos, and part of that service includes our agronomists, enologists, and professional staff being ready to give you a personalized report on all facets of your property or development each time you visit. And our Custom Travel team is ready to greet you at your point of arrival in Argentina; be that Buenos Aires, Cordoba, Mendoza, Bariloche or other locations. We can arrange all your travel to and from Argentina, or anywhere around the globe. Over 30 years as international entrepreneur with specialties in adventure tourism, resort and commercial real estate development, project management, financial planning, corporate structuring and business consulting. Co-founder of international retail/travel guide company Westbank Anglers, Jackson Hole, Wyoming (1986-2002); Co-founder hotel and tourism company Postales del Plata, Mendoza, Argentina (2003-2007); Co-founder and chairman of real estate development and financial consulting company, Southern Cross Land (2007 - 2013); Founder and CEO of investment advisory and development company, Southern Cross Advisors (2014 - present). With Southern Cross Land/Advisors, bought and sold over 200 properties throughout Argentina and South America. Consulted on or was project manager for more than 15 projects (commercial, resort, hotel) in Argentina with a total value over $200 million USD. BS degree in Cognitive Psychology and BA degree in American Literature from the University of Southern California. Fluent in Spanish. Stephen first visited Argentina in 1989, when he arrived in Bariloche to explore for his fly fishing company, Westbank Anglers. The trip was a success, and Stephen began sending discriminating anglers to fish top rivers and lakes from San Martin de Los Andes to Cholila and Esquel. Over the following ten years, this high end tourism business grew to cover the length of the country, from Tierra del Fuego, to Patagonia, Buenos Aires, Corrientes and Salta. But just exploring Argentina wasn’t enough. Stephen began exploring the world in search of the finest fly-fishing destinations for his upscale travel clientele; everywhere from the Bahamas, to Alaska, Mexico, Chile, New Zealand, Costa Rica, the Seychelles, and points in-between. Along the way the Bahamas became a second home (Jackson Hole, USA, the first), which led Stephen to become the author of The Bahamas Fly-Fishing Guide. He has also written a novel and many magazine articles for international publications on subjects ranging from fly-fishing in saltwater to gourmet wine tours in South America. After selling Westbank Anglers in 2002, Stephen had more time to renew his passion for Argentina. Enter Mendoza. When a friend suggested a trip in 2003 to explore the wine country and maybe buy some property, Stephen was on the next plane. The result was that Stephen co-founded Postales del Plata in 2003, a hotel and tourism company based in Chacras de Coria and Valle de Uco. Then Stephen delved deeper into the intricacies of Argentine business and real estate, and discovered a need for smaller sized properties to sell to foreign investors and lifestyle seekers. To create these “mini-fincas”, larger properties were purchased, and subdivided into multiple lots of approximately 5 hectares. 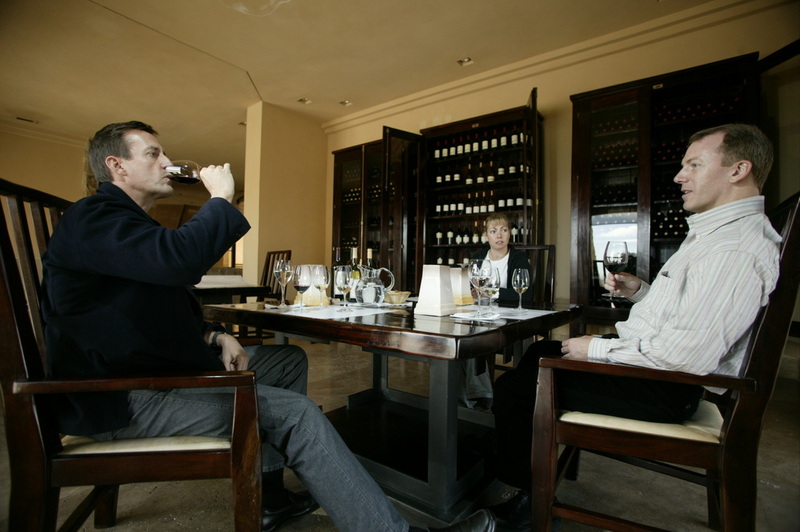 The focus was on Valle de Uco, Mendoza’s premier vineyard and wine tourism area, and recognized as one of the 8 Great Wine Capitals of the world. And so the idea of managed private vineyard estates began in earnest.